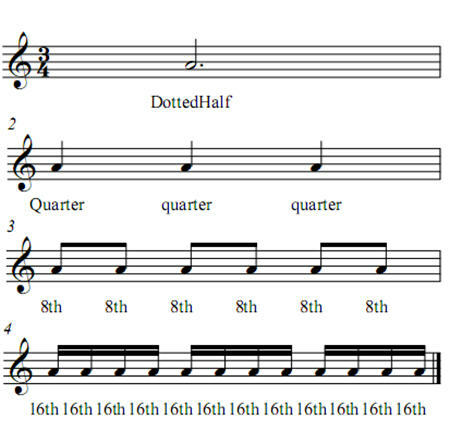 Swing rhythms--or triple rhythms--are those that are not evenly divisible. 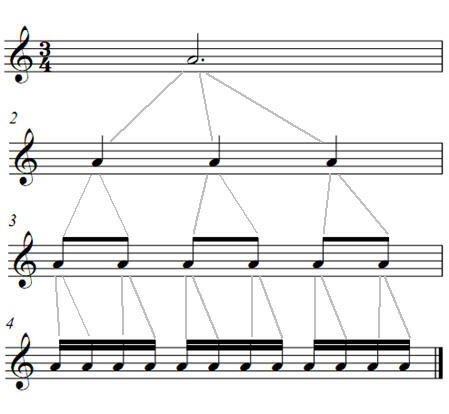 Triple rhythms are typical of blues and jazz styles. They are typically presented in a hierachy as displayed here with their numerical names. Their divisible relationships are shown here. Their talking names are shown here. You will learn to talk two triple rhythm vocabularies. You will learn them as separate vocabularies then you will learn them as combined vocabularies. 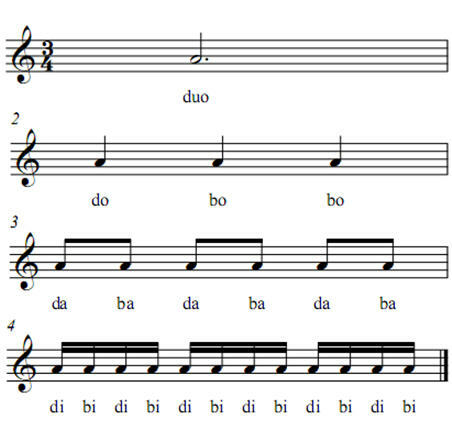 These three duple rhythm vocabularies and two triple rhythm vocabularies are the five basic vocabularies that pop musicians use. Your first task is to learn to talk these rhythms. One vocabulary at a time.